Reader Carol A. forwarded me a blog post about nautical kid rooms from The Lettered Cottage. Layla at the Lettered Cottage is helping her friend design a nautical bedroom for her son. 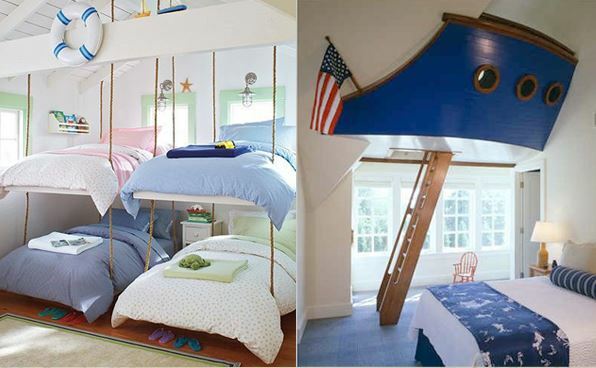 I am loving these nautical bedrooms! Don't forget to share your nautical rooms with me! Just send me an email and you can be featured on the blog! I think most of us would love to have any of these as our bedrooms! I'm working on a nautical room for my toddler, but these put his to shame!